I was heartened to come across another lovely example of how tech is enabling people to better their lives. Russian grannies are flogging their jumpers on Instagram! 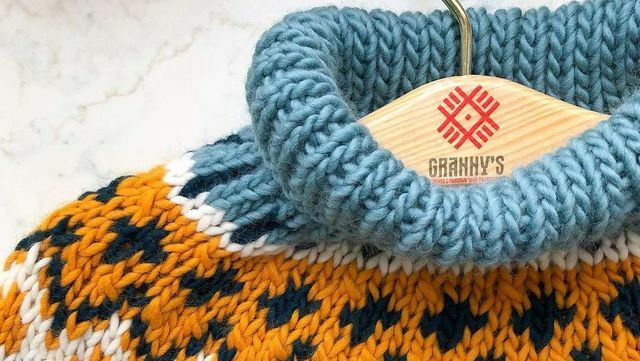 With the help of a young entrepreneur who manages the marketing and a VERY chic Instagram account (@RussianGrannies), elderly women in Russia are able to promote the wooly socks, jumpers and hats that they knit and sell them online. Not only is this smashing stereotypes, it's helping retirees to retain a degree of financial independence and it gives them a digital identity. In a world with a lot of negative headlines about social media, it's nice to read about the convergence of four things I love: female entrepreneurialism, technology, cosy jumpers, and my dear grandmother.